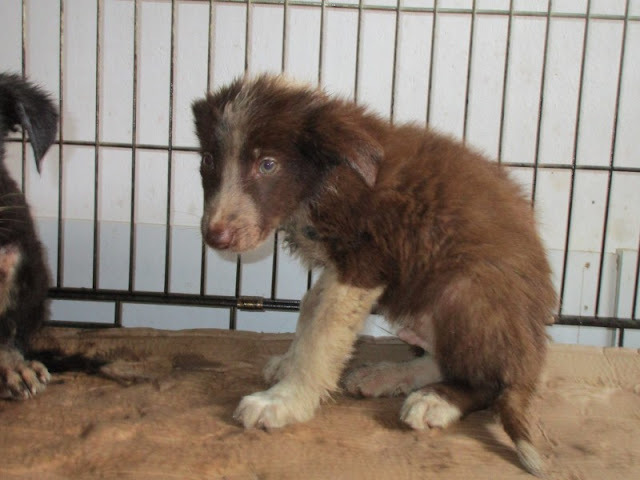 This case of animal cruelty has traumatized Romania: an unknown perpetrator tarred these young pups and left them to die a horrible death on the street. The outrage one feels about such contempt for life is difficult to put into words. 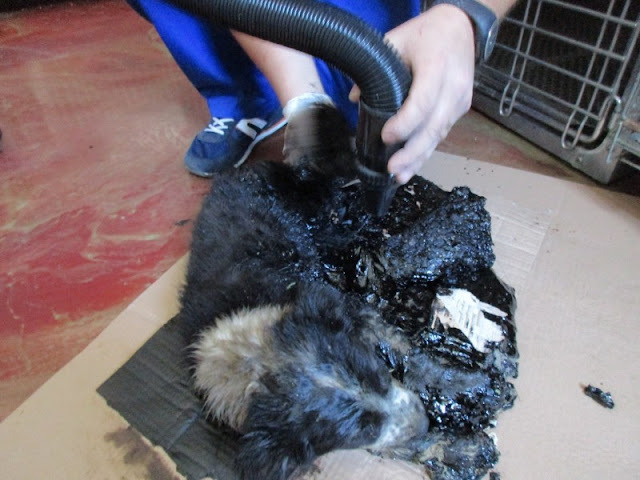 This little guy had it particularly bad: the poisonous tar covered his ears, eyes, and entire face! 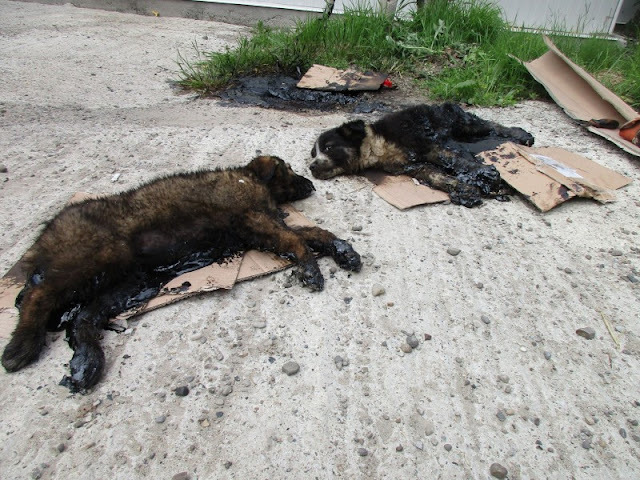 These furry friends were fortunate to have been saved in good time by animal rights activists. They were still puppies! 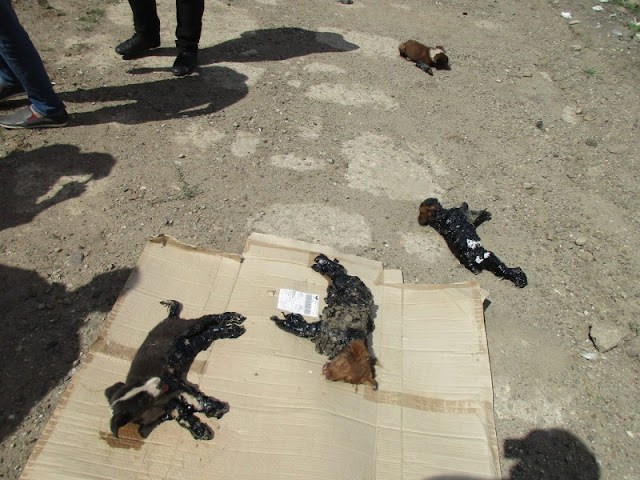 Cătălin Pavaliu, founder of the animal protection group Sky Foundation for Animal Rights, took the puppies home and began the arduous work of trying to clean them up. 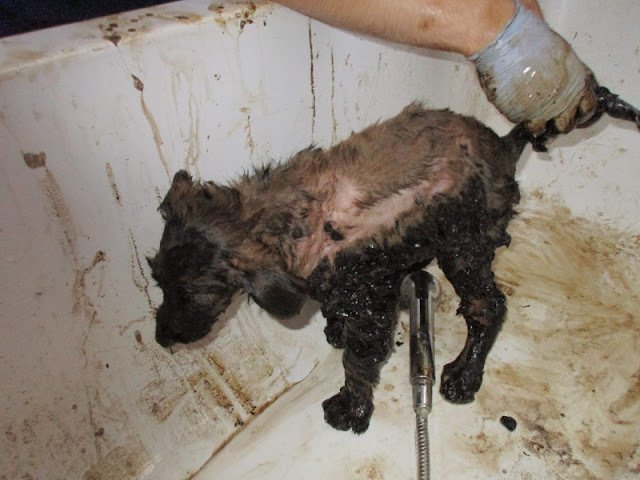 He had to wash the pups in a bathtub for hours, motivated by the hope that he could give the small creatures a life of dignity. 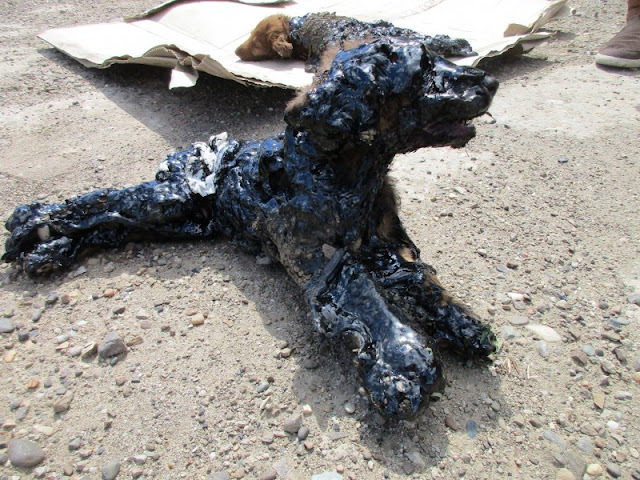 In many places, the animals' fur had even become detached because the tar was so firmly stuck to it. 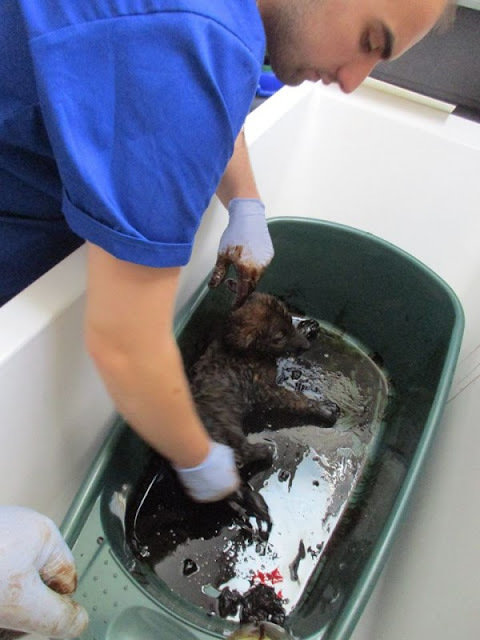 Thanks to his extraordinary dedication, Cătălin managed to get the small creatures clean and healthy again. 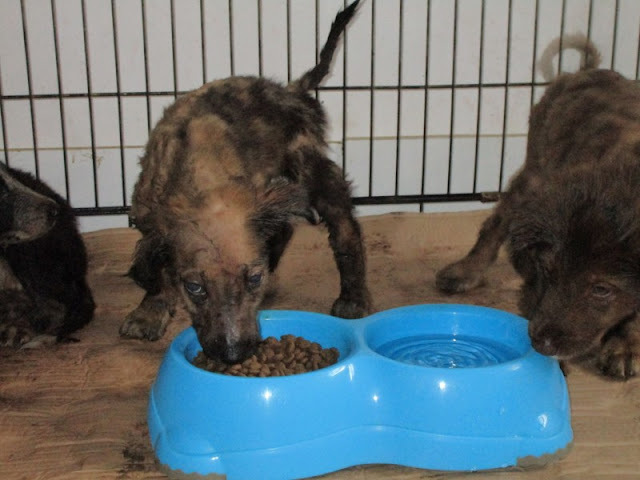 At first, the poor animals were deeply unsettled and didn't dare to eat. Meanwhile, the sweet creatures have luckily healed and cuddle together in Cătălin's apartment. Now he needs to find a new and loving home for them so that they'll be protected in the future! 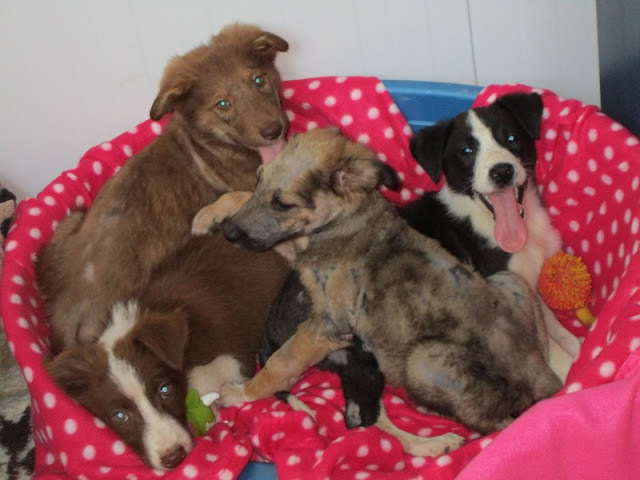 To everyone's delight, there was a happy ending for these four pups. But what kind of person does such a thing to small, helpless creatures? Of course, not everyone needs to be a dog lover, but this kind of animal cruelty—completely lacking in respect for the majesty of life—is simply sick and barbaric.